Kenya's retail sector is diversifying with the entry of new players and international brands into the market. This is despite the retail sector growing at a "lethargic rate" compared to economic growth in the East African hub in 2018. The retail sector has been impacted by increases in taxes and government regulations following the drawn-out elections of 2017, despite the Kenyan economy growing at a fast rate. GDP is expected to grow by 5.9% for 2018 overall, on the back of improved weather conditions and a stabilising macroeconomic environment. These are some of the key insights contained in the latest Nairobi, Kenya Retail Snapshot report (H2: 2018) by Broll Property Intel, the research division of property services group, Broll. The Finance Act was signed into law in September 2018. One of the big changes is the introduction of 8% VAT on petroleum products, which was previously VAT exempt. Ombwayo says that the increase in fuel costs is likely to induce a ripple effect on food and other prices. However, a positive for the property sector is in the Real Estate Investment Trusts (REITs) space, where transactions related to the transfer of assets into REITs are VAT exempt. According to Ombwayo, the growth of aspirational consumers and Kenya’s middle class has influenced Food and Beverage retailers to diversify into Nairobi’s CBD. She also says that international fashion brands such as Hugo Boss and Turkey’s LC Waikiki, as well as French sports retailer Decathlon, have a growing presence in Kenya. The French supermarket Carrefour is expanding in the country, while South African retail giant Shoprite opened its first Kenyan store in December 2018. Another South African brand, Game, which is owned by US-based global retail heavyweight Walmart, is also expanding as are other supermarket retailers. 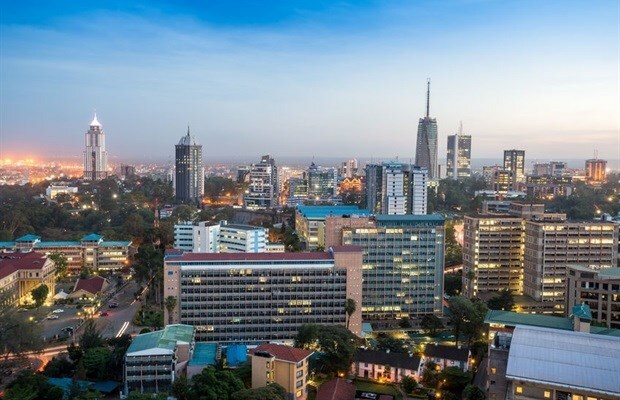 There is an estimated 526,000m² of formal retail supply in the Kenyan capital of Nairobi, according to the Nairobi, Kenya Retail Snapshot report (H2: 2018). This is up 5% from the first half of the year when supply was at around 502,000m². Ombwayo says community centres account for some 39% of this, followed by small regional and neigbourhood centres, each at 24%. She says retail development in Kenya is expected to pick up as the country stabilises from a macroeconomic standpoint following uncertainty caused by the country’s drawn-out election in 2017. A new development to watch out for is the Waterfront project in Karen, which will include 19,000m² of retail space for which Broll Kenya is managing the leasing. “Several other retail projects are in the preliminary stages of planning and development, for example the 28,500m² Beacon Mall, but investors are still somewhat cautious at the moment. A new trend in Kenya seems to be mixed-used developments that will include office, retail and hotel space. Major mixed-used projects such as The Pinnacle and Le Mac, are ones to also watch out for,” says Ombwayo. She adds that despite the Central Bank Rate in Kenya dropping to 9% in July 2018, the weighted lending rate on commercial bank loans was still high at just under 13%. This makes it difficult for developers to borrow locally and has resulted in mainly dollar-based funding coming from outside of the country for real estate developments. Dollar-based funding had its own challenges, with local retailers having to deal with dollar-based rentals. Broll’s latest Kenyan retail study reports a shift in rent charges from largely a space occupied basis to either turnover-based rent or a combination of turnover rent and base rent. “Due to the demise of a major local Kenyan food retailer - Nakumatt Supermarkets - last year, most landlords have taken a cautious approach by leasing smaller spaces to more than one anchor tenant at retail centres. Nakumatt closed dozens of stores, but a lot of this space was taken up by competing retailers,” notes Ombwayo. She says the minimum lease period for securing retail space in Kenya is 5 years and one month, but notes changes may be on the cards. Visit www.broll.com/publications to read the full report.